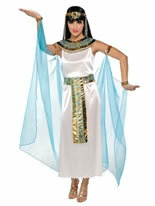 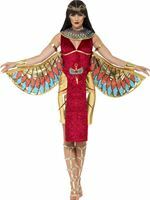 Make a Grand Entrance in our Adult Egyptian Queen Costume! 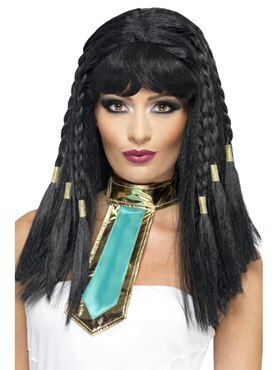 Reign as the Queen of the Nile in this Stunning Egyptian Cleopatra Outfit! 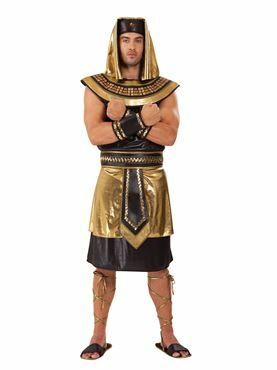 The Costume comes complete with the Floor Length Brown Faded Dress with the Metallic Gold Padded Collar along with the Matching Pair of Velcro Fastening arm Cuffs. 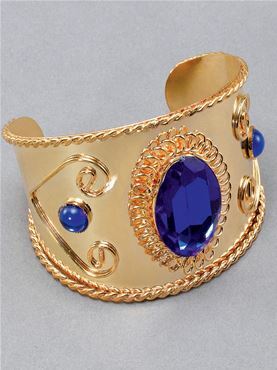 Completing the Look is the Matching Gold Headpiece with the Jewel in the Centre and attached Beads on Either Side. 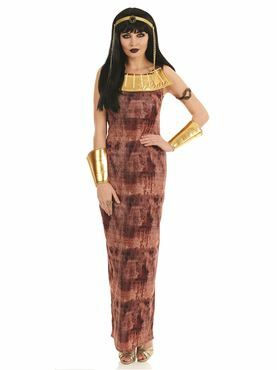 Small 8 - 10 34" - 36" 26" - 28" 55"
Medium 12 - 14 36" - 38" 28" - 30" 56"
Large 16 - 18 40" - 42" 32" - 34" 56"
XL 20 - 22 44" - 46" 36" - 38" 57"